Brandon Overton claimed the biggest win of his career as he parked it in Victory Lane after leading every lap of the Firecracker 100 at Lernerville Speedway. 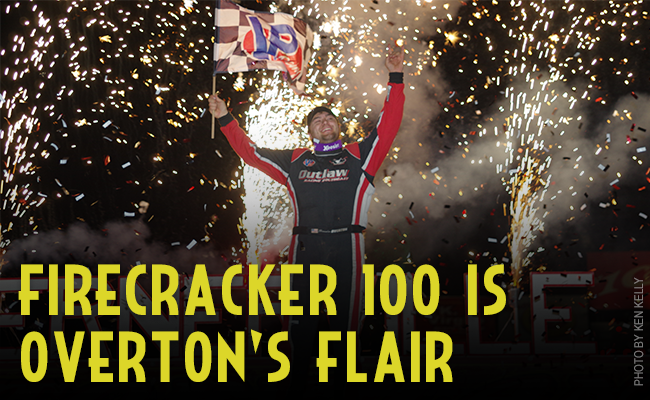 Overton claimed his first-ever Outlaw win during his sophomore season with the Series at the preliminary event for the 10th annual Firecracker 100. His win in 2016 was dedicated to his father’s commitment to helping him to reach that point in his career. Just one year later, Overton was able to put the cherry on top of his experience at Lernerville Speedway with a $30,000 payday. Mike Marlar and Tim McCreadie were looking to capitalize on any mistakes made by the young gun, but Overton’s run was faultless. With just nine laps remaining in the show, only .429 seconds stood between Marlar and Overton but the Randy Weaver 116 Dream Ride was able to hold him off. Although Marlar couldn’t complete his pass for the lead, he was able to pass McCreadie for second on lap 37. McCreadie sustained a late race charge by Don O’Neal who found his way to contend for the podium with just a few laps to go. G.R. Smith’s first ever visit to Lernerville Speedway ended victorious as he won the Uncle Sam race and $3,000. Smith out ran Boom Briggs in second by 2.961. Sheppard selected a fan from the crowd to draw his starting position for the afternoon event and his redraw luck didn’t run dry as the number one Craftsman wrench was pulled from the toolbox placing him on the pole for the 30-lap feature. Sheppard held on to the lead position for all 30-laps but Mike Marlar tried his best to maneuver around the Rocket1. 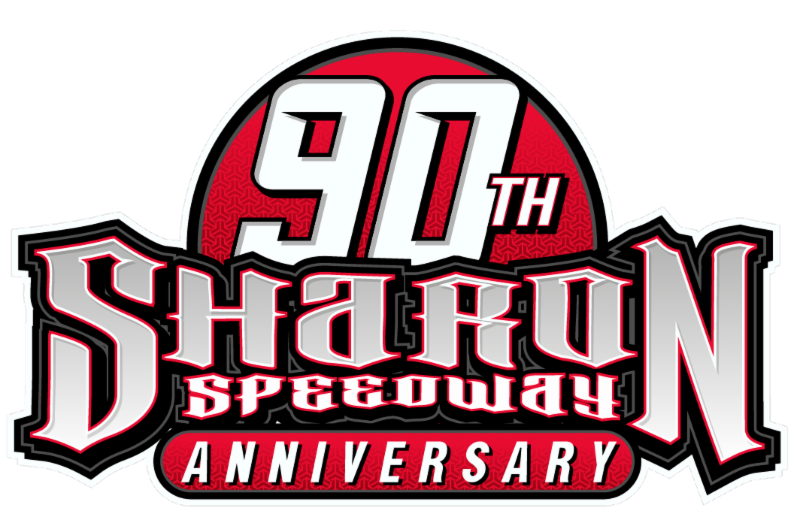 By lap 13 only .808 seconds stood between Marlar and Sheppard but Marlar could not find the extra push he needed to complete the pass. Once the pair approached lap traffic, the Rocket Shepp was able slide by cars without a problem allowing him to widen the gap on Marlar to a 1.650 by lap 18 before returning to a 1.1 second difference at the finish. Chub Frank was all smiles in Victory Lane after he claimed his best finish of the season in his home state of Pennsylvania. The World of Outlaws Craftsman Late Model Series will return to Lernerville Speedway on Sept. 2 for the Working Man 50. The next stop for the Series will be on June 28 at the Dirt Oval at Route 66 Raceway for the FVP Outlaw Clay Classic. For more information click here. For tickets click here.